Children being brought up in today’s digital age are developing remarkable tech skills from a very early age. You only need to see a one or two year old playing on a smart phone or tablet device to realise how competent some children are with technology. To engage tech-savvy children, educational apps and games have advanced at a great rate to cater for this captive audience. The best apps are structured in a way that children are motivated to play, but also learn at the same time, often without even realising they are doing so. Educational apps and games are developed with children in mind and are a far cry from traditional homework or the spelling or mathematics flash card games of days gone by. Here are some of the best apps we have come across. A learning game where students must remember the elements of a story to complete a level. At the end of each level, the student is rewarded with puzzle pieces. After solving the puzzle, the story is complete and the child can move on. A learn-to-read app for kids ages 3 to 6 that incorporates drawing, voice recording, stories, songs, and more, along with more traditional phonics exercises. This app can be helpful for kids who have speech production issues and organization of language issues. In Opposite Ocean, Luna and Leo must master the magic of words by correctly identify the antonym that is the opposite of the given keyword. Children earn pearls when they drag the correct bubble word to the enchanted clam. Slide the three picture cards into correct order (first, next, and last), then watch the story come to life. A speech–language pathologist chose Milo's activities, such as hitting a baseball or eating a sandwich, to help kids learn to organize time, sentence, and storytelling concepts with familiar themes. Monkey Word School Adventure is an app for kids who are ready to start recognizing letters and words. It is well-designed with young learners in mind, challenging kids age 4 to 7 by using technology that quickly adjusts the words to the appropriate level. In Wonster Words, children play with silly letters and hilarious monsters. Kids first put together words through interactive spelling puzzles, ABC hide-and-seek, and other engaging letter based mini-games. Once the words are completed, children will enjoy cute, defining animations head-lined by the lovable Wonsters, further reinforcing the meaning of the words that he/she had just learnt. Word Wagon helps kids learn about letters, phonics, and spelling with Word Wagon. Parents and kids can set it to one of four progressively harder levels: letters, phonics, and spelling of short and long words and also to display either upper- or lowercase letters. In the first two levels, kids can match the letters to form the words; in the latter two levels, there is no visual cue, and kids have to arrange the spelling of the word on their own. The Alphabet Organizer enables children to create a calendar-style alphabet chart or letter pages for an alphabet book. Younger children can print the letter pages and draw pictures of things that start with each letter. They can also use the chart to learn the order of the alphabet and which words start with which letters—an important building block for reading. In this app each letter of the alphabet corresponds to an animal whose name begins with that letter. Children press the letter to hear it out loud, another button repeats the letter and says the name of the animal. Kids join Zip the alien on an out-of-this-world spelling adventure to build a new rocket ship. They'll spell words to help him fly to three different planets and collect the rocket pieces he needs. The game ends when they launch their fancy new rocket into space and steer it through a short star-collecting mini-game. Bookworm is a spelling and vocabulary building word search game app. Children link letters left, right, up and down to build words to feed 'Lex' the animated bookworm. The longer the word the higher the score. Chicktionary is a chicken themed spelling and vocabulary-building word game. Children create as many words as possible out of seven letters. Completed words can be tapped to view their definition. During play, the student is presented an image and must drag a preposition to complete a sentence about the image. If the student chooses the wrong answer, the image and sentence change to show the student the proper use of the preposition they chose and how it changes the image. Students follow the story of Snargg, possibly the world's worst pet, as they attempt to get him home. In order to get him there, they must complete a series of vocabulary challenges and watch Snargg get into various antics. The vocabulary words are organized into levels and sets. Students first select a level, and then select a specific set within the level. Book Creator is ideal for making all kinds of books, including children's picture books, photo books, comic books, journals, textbooks and more. And when you're done, share your book with ease, or even publish it to the iBooks Store! This app helps to teach children how to write the letters of the alphabet, numbers up to 20, and simple words using a dot-to-dot approach. It helps if children already know how to count and read numbers up to 10 in order to play this game. Meet Officer Period, Detective Question Mark, and Sergeant Exclamation Mark and discover everything they do to add clarity to your writing. Track your progress through our puzzle bank and test your knowledge with increasing levels of difficulty. Drag and drop the appropriate punctuation and capitalization to sentences and paragraphs! Story Patch allows the student to create a story from a template (good for those who need some guidance) or from scratch. There is a bank of pictures to choose from to illustrate the story. Create personalized animated comic books featuring monsters and superheroes. Build comic strips and narrate the story using the self-record feature. A boy’s journey through his earliest years of education can be challenging – both for him and his parents. We recognise one of the greatest difficulties is not knowing what your son is doing. After all, you’ve recently gone from looking after him at home to watching him take his first steps into the classroom. 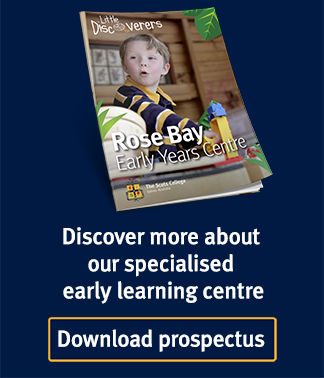 Our Scots Journey brochure helps parents and boys understand what to expect during a typical day at our Early Years Centre and Early Learning Centre. Download your copy today. Editors note: This blog was originally published as The top 7 literacy and reading apps for children, but has been updated with new content.